Atletico Madrid manager Diego Simeone believes that his star player Antonie Griezmann was ‘the best player in the world’ last season. The Argentine boss led his Atleti team to a runners-up La Liga finish last term and a Europa League victory, with Griezmann very much at the forefront of his plans. The Frenchman hit 19 goals in 32 league appearances and found the net 12 times in cup competitions, giving him an impressive grand total of 31 goals for the season. 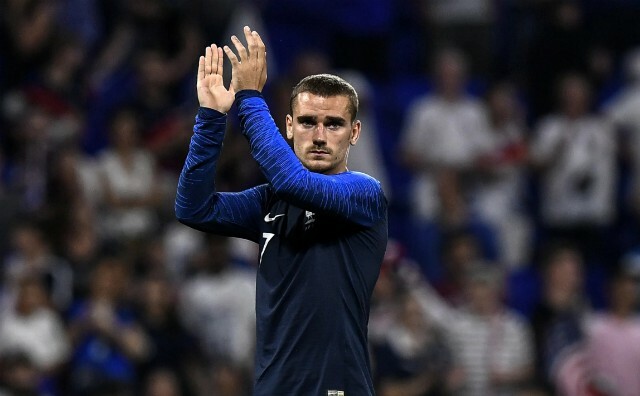 Following his exploits at club-level, the 27-year-old enjoyed a glorious summer with the French national team as they stormed to victory at the World Cup in Russia. Griezmann scored four times, but Kylian Mbappe overshadowed him with four strikes of his own and more generally eye-catching performances throughout the competition. Add to that the fact that Cristiano Ronaldo, Lionel Messi, Mohamed Salah and Luka Modric all had incredible years too, Simeone’s latest claim might be considered as bold by many, as he backed Greizmann to win the Ballon d’Or. “What he did in the recent past is already there, he won the Europa League, UEFA Super Cup and the World Cup,” Simeone told reporters on Friday, as per Four Four Two. The France talisman was at his best earlier in the week for his country in the UEFA Nations league against Germany, scoring twice to secure a 2-1 win for the world champions. His first was a sublime header from a Lucas Hernandez cross, which highlighted just how good he can be when given a sniff of goal, but calling him the best in the world may be a stretch at this stage of his career. There is still a general sense that the best may be yet to come from Greizmann and until it does, he cannot realistically hold a candle to the other frontrunners in the yearly race for the Ballon d’Or.